In order to cement our reputation in the market, we are engrossed in fulfilling an excellent assortment of Barcode Software. Quickly design and print barcode labels without IT help, Easy for anybody with a little computer knowledge. We provide ODOO Manufacturing ERP software for Open Source Manufacturing. Full featured MRP including: full traceability, barcode scanners, multi-warehouse, logistic routes, multi-level BoMs, advanced routings, etc. Barcode solutions is to provide wide array of software development, Software customization and outsourcing services like Retail and Distribution chain software designing, offshore software and database development and maintenance with high quality in a cost effective manner. So as to furnish the ever-growing desires of our patrons, we are engrossed in delivering a comprehensive variety of Barcode Solution Software. Our company is widely appreciated for Barcode Generation System. 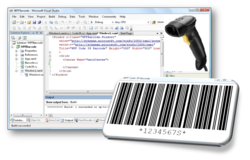 This product is specially designed as a low power Barcode Generation System for writing and testing. This product is made from material sourced from the dependable and certified vendors of the industry to meet the variegated preference of clients. Generate UPC Barcodes, GS1 Compatible Barcodes, Linear Barcodes, 2D Codes, QR Codes, Datamatrix, PDF 417, GS1 DataBar, Postal Barcodes and many more for management and tracking of your assets and inventory by labelling. 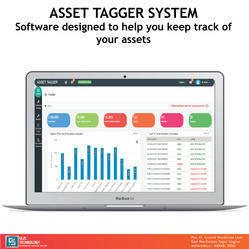 We Have Retail Related Software . In which you can scan the items Bacode. and Geneate the bills. Very easy, fast, Complete all requirement, and other Need customize requirement solution provide.we are thanks to you, for chance to provide me. TOTAL CONTROL OF YOUR SUPPLY CHAINEFFECTIVE INVENTORY MANAGEMENT IS ALL ABOUT KNOWING WHAT IS ON HAND, WHERE IT IS IN USE, AND HOW MUCH FINISHED PRODUCT RESULTS.